HEALTHCARE SECURITY – Protection Management, LLC. 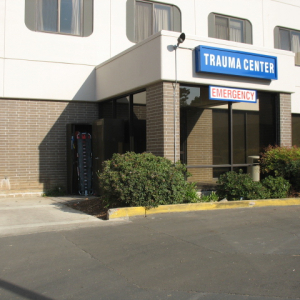 Protection Management, LLC, has provided healthcare security consultant services and healthcare risk management services to medical center campuses and related healthcare facilities since 1999 throughout the United States. We provide healthcare consulting to facilities ranging from with fewer than 100 beds to over 1,000 beds and over 95,000 Emergency Room visits annually. We present an objective and balanced perspective based on proven security best practices and industry accepted standards and guidelines. Anyone that works in an emergency room knows how violent they have become in the last few years. 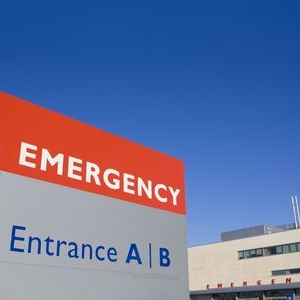 Call it the stresses of everyday life coupled with the increased use of drugs and the rise in mental health issues, but violence in the ER is a serious concern. 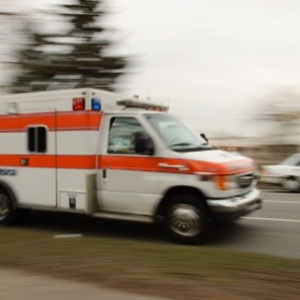 Whether it is an aggressive verbal outburst or worse yet, a weapons incident, the chances that an incident will happen in your emergency department are real. Are you ready? Have you planned? Has the staff been trained on what to do? In California, a law went into effect in 2010 that requires certain measures be taken to deal with the violence in healthcare, plan for the response, and track trends so that you can reduce your number of incidents. This is likely to spread across the country in the future. Do you act now, or wait until legislation is passed in your area? The answer to that question depends on how much liability you are willing to accept. Infant abductions are still possible in today’s world of electronic security nets in most hospitals. Although the numbers of actual abductions from within hospitals are down in the last ten years, attempts still take place, as do actual abductions. Female of “childbearing” age (range now 12 to 53), often overweight. Often married or cohabitating; companion’s desire for a child or the abductor’s desire to provide her companion with “his” child may be the motivation for the abduction. Trust the experts at Protection Management, LLC. Our Principal Security Consultant has over 13 Years Experience in Managing Healthcare Security Departments for Multiple Campus Health Systems. John M. White CPP, CHPA, is Board Certified in Security Management as a Certified Protection Professional (CPP) and as a Certified Healthcare Protection Administrator (CHPA), and he has served as the senior security executive of two healthcare organizations. He also serves on the Healthcare Security Council of ASIS International, and is the chairperson for the Publications and Healthcare Security Best Practice committees of this council. Mr. White serves on the Board of Directors for the International Association for Healthcare Security & Safety (IAHSS) as well as the Commission for Certification with the IAHSS. In the world of healthcare security consultants, only a few have ever achieved this level of professionalism and experience. Protection Management, LLC, stands out in the field of Healthcare Security Consultants as one of a few security consultants that actually have experience working in the healthcare field as a senior level security director. Our principal consultant, John M. White, CPP, CHPA, has held positions as the Security Director of two multi-campus healthcare systems. He has been through numerous successful Joint Commission (JCAHO) and Center for Medicare & Medicaid Services (CMS) reviews with no adverse findings for security, and has been recognized by surveyors for best practices in healthcare security. He has successfully rebuilt healthcare security programs to be leaders in their fields, and took those departments to the “Next Level.” Each time he managed the process of professionally certifying the security staff in the departments and making them model programs and leaders in healthcare security. At Protection Management, we have a thorough understanding of the Joint Commission Standards, DNV, Health Insurance Portability and Accountability Act (HIPAA), CMS Conditions of Participation, Patient Centered Care, and Planetree. John has managed security equipment planning, installation, and testing of security technology in construction projects ranging from extensive remodels all the way up to new hospitals. He has worked with architects, general contractors, system integrators, and end users to insure system integrity and efficiencies. When you are retaining the services of a security professional, you want the most qualified professional who is current on industry standards, as well as experienced in operational procedures. The Certified Protection Professional (CPP) and Certified Healthcare Protection Administrator (CHPA) certifications that Protection Management, LLC maintains are internationally recognized as standards of excellence. Our experts remain current on new developments and trends with healthcare security issues. We fully understand the challenges that healthcare facilities face with regards to an open environment and still remaining safe and secure. We work with our clients to identify their unique areas needing attention as well as positive attributes. Although we have made recommendations for new technologies as needed, our baseline approach is to identify operational efficiencies and work within existing budgets when possible. We provide our clients with an electronic tracking tool so that they can track their progress during the implementation phase of improving their security and reducing their risks.